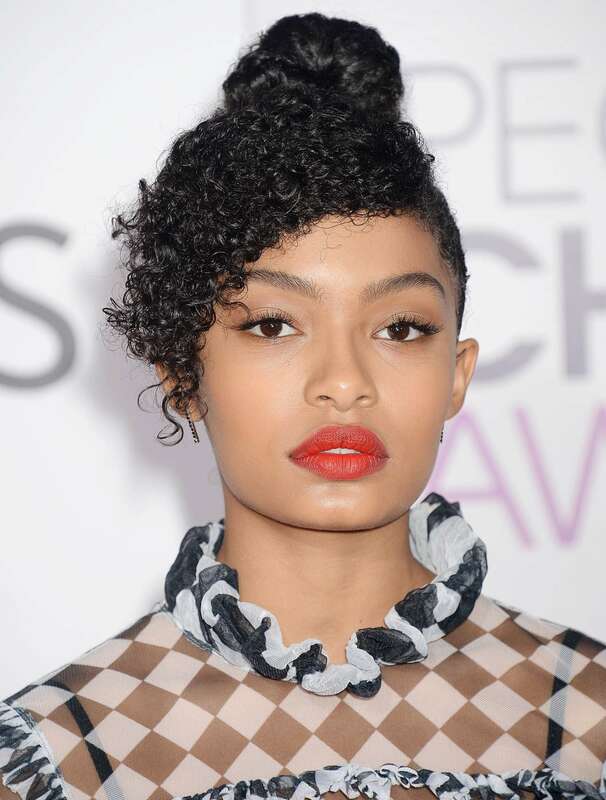 From household names like Jenifer Lewis and Tracee Ellis Ross, to up and coming stars like Yara Shahidi, the leading ladies of Black-ish give us so much hairspiration – proving the beauty and diversity of black hair on and off the big screen. Iconic, bodacious and crazy-cool are just some of the words that come to mind when we think of Tracee Ellis Ross. Even on the show, Ross’ fun-loving personality shines through with her bold fashion choices and staple curly mane. The legendary Jenifer Lewis slays on set wearing corn-rows braided up into a curly faux-hawk. Lewis, who plays Ross’ mother-in-law on Black-ish, is no stranger to switching up her personal style in new and interesting ways. Bubble Gum Streaks for Marsai Martin! Marsai Martin stays true to her playfulness with bubble gum streaked single braids pulled into two adorable pigtails. This rising star plays the master mind Diane Johnson on Black-ish. Yara Shahidi gives us nothing short of Nubian Chic with this look. The sleeks sides of this up-do are intricately detailed with flat twist leading up to a high bun framed by curly bangs. Yara plays the eldest Johnson child on Black-ish and is set to star in the spin off TV series, Grown-ish airing early next year. Who is Your Favourite Black-ish Character?